Ok after Wags I went across the street to CVS. Cepacol Throat Lozenges (16 ct), 4 toothbrushes, 2 Colgate toothpastes (4oz), Excedrin PM (8 ct), Nitetime Sleep-aid (24 ct), Advil PM (4ct), finish (10 ct), carmex, softlips, 2 king size Hershey’s drops. They were out of a few things I wanted so I got rain checks for those items. Subtotal $30.65 (plus $2.60 tax) minus $1 coupon so I spent $32.25 OOP. I received $26.66 in rewards buck which I plan to use next week,. My actual total was $5.59 for a savings of 82.67% which is awesome. Here are all the deals in the CVS ad running 11/20 through 11/23. It is just a 4 day ad with a whole new ad starting 11/24. Don’t forget about the CVS diaper deal going on: Buy 6 Jumbo Packs of any brand diaper and get a coupon for a FREE one (excludes mega and box diapers). Good on all diaper purchases through 12/31/11. Check out all the current diaper coupons in the Coupon Database here. And, remember CVS has a new “Earn Free Gift Cards Promotion”: Buy $30 worth of participating products and receive a $10 gift card for Macy’s, Gap, Applebee’s, Shell Stations, American Express, Barnes & Noble or CVS/pharmacy. Coupon for gift card prints at the bottom of your receipt once you purchase the $30 in qualifying products. Limit 5 gift cards per person per week. There will be new participating products each week through December 25, 2011. This week’s participating products are listed below with coupon match-ups. This week’s CVS ExtraCare Coupon Center coupon is $5 off any $20 Facial Skincare Purchase! Limit 1 per household. Possible uses are described with match-ups below. Plus, qualifies for CVS Diaper promotion. (4) FREE after coupons and ECBs! (2) better than FREE after coupon and ECBs! $1 ea. after coupons and ECBs! $2.67 ea. wyb 3 after ECBs! $0.75 ea. wyb 4 after coupon and ECBs! $0.59 ea. after coupons and ECBs! As low as $2.99 ea. after ECBs! $3.49 ea. after coupons and ECBs! $11.99 ea. after coupon and ECBs! $9.99 ea. after coupons and ECBs! As low as $2.49 ea. after coupon and ECBs! $2.49 ea. after coupons and ECBs! $4.49 ea. after coupons and ECBs! $4 ea. after coupons and ECBs! As low as $15.99 ea. after coupon and ECBs! As low as $8.99 ea. after coupon and ECBs! $7 ea. after coupon and ECBs! As low as $1.49 ea. after coupon and ECBs! $3.20 ea. after coupons and Gift Card! $6.66 ea. after coupons and Gift Card! Better than FREE after coupons ECBs and CRT! FREE after coupons and MIR! $2.49 ea. after ECBs and CVS CRT! $1 ea. wyb 2 after ECBs! $2.50 ea. wyb 2 after ECBs! $3.24 ea. after coupons and ECBs! $5.99 ea. wyb 2 after coupon, CRT and ECBs! $1.24 ea. after coupons and ECBs! As low as $13 ea. after coupon and ECBs! $2.74 ea. after coupons and ECBs! $3.99 ea. after coupon, ECBs and MIR! $3.29 ea. after coupon and ECBs! As low as $2.99 ea. after coupon and ECBs! $2.49 ea. after stacked coupons and ECBs! As low as $2 ea. after coupons and ECBs! $0.32 ea. after coupons and ECBs! As low as $7.99 ea. after coupon and ECBs! As low as $9.79 ea. after coupon and ECBs! $9.50 ea. after coupon and ECBs! $29.99 ea. after coupon and ECBs! *It looks like a CVS gift card is one of the options. Choose it and roll it onto another transaction. As low as $3.99 ea. after coupon, CRT and ECBs! $7.74 ea. after coupons and ECBs ($0.65 Roll)! $2.50 ea. wyb 4 after ECBs! As low as $1.67 ea. wyb 3 after coupon and ECBs! $4.50 ea. wyb 3 after coupon and ECBs! $2 ea. wyb 2 after coupon and ECBs! $2.99 ea. after coupons and ECBs! As low as $3.49 ea. after ECBs! Get $10 ECBs wyb $20 (Limit 1)Final price varies! $7.24 ea. after coupon and ECBs! As low as $3.99 ea. after ECBs! $14.99 each after coupon and ECBs! As low as $5.99 ea. after coupon and ECBs! $2.75 ea. after coupons and ECBs! $14.49 ea. after coupon and ECBs! $8.99 ea. after coupon and ECBs! As low as $1.99 ea. after coupon, CVS printable and ECBs! As low as $19.99 ea. after coupon and ECBs! As low as $10.99 ea. after coupon and ECBs! As low as $1.33 ea. wyb 3 after coupon! Here are the top CVS deals for the week of 9/4 – 9/10. $0.24 ea. after coupon and ECBs! $1.24 ea. after coupon and ECBs! $1.49 ea. after coupon and ECBs! As low as $1.12 ea. wyb 2 after coupon and ECBs! $15.99 ea. after coupon and ECBs! As low as $18.49 ea. after coupon and ECBs! As low as $0.49 each after coupon and ECBs! $31.99 ea. after coupon and ECBs! $12.99 ea. 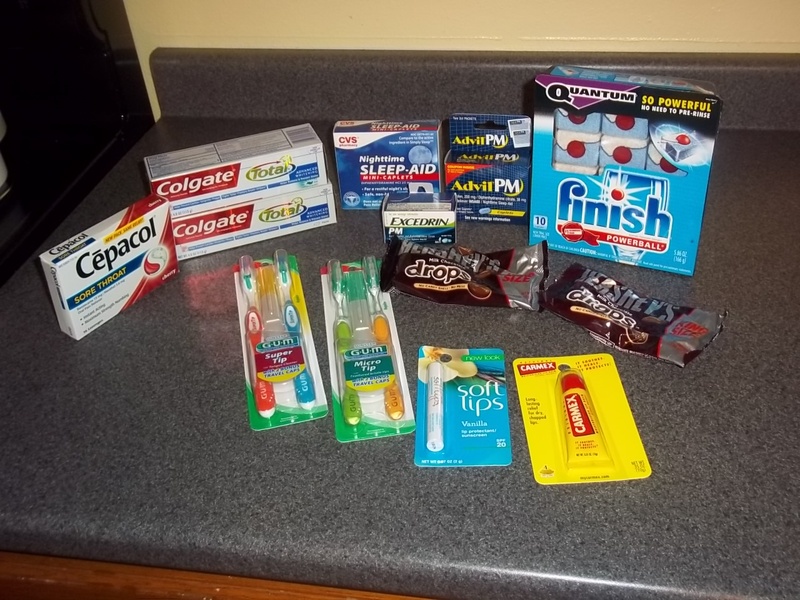 + FREE Olay Body Wash or Deodorant after coupons and ECBs! As low as $22.99 ea. + Free Olay Body Wash or Secret Deodorant after coupon and ECBs! $2.79 ea. after coupon and ECBs! $1.47 ea. after coupons and Gas Card! Get your coupons ready for another great week at CVS! As low as $2.24 ea. after coupon! As low as $1 ea. after coupons and ECBs! $1.49 ea. wyb 2 after coupons and ECBs! $1.33 ea. after coupons and ECBs! $2.32 ea. after coupon and ECBs! As low as $23.90 ea. after ECBs! $2.33 ea. after coupons and ECBs! $8.75 ea. after coupons and ECBs! $2.04 ea. after coupons and ECBs! $1.81 ea. after coupon and $10 Gas Card!